Rivers are shaped by the geography around them and, through their own flow and movement, change and shape the landscape around them. Rivers are a vital part of many ecosystems and are an integral part of the natural world that influences everything from travel to food, water cycles and underground aquifers and more. The rivers we know today weren’t always as we know them today, however; the flow, shapes and locations of many of our modern day rivers were once very different. Rivers haven’t always flowed in the same directions as they do today. Rivers have a tendency to change with the landscape as mountains are formed, sediment is deposited, and landforms drift apart. Rivers that were once dominant parts of the landscape are now gone, dried and left with few markers of their existence. The theory of how the Amazon River was born begins millions of years ago when a collection of rivers in what we now know as the Amazon Basin reversed their course and became a larger river. This change was brought about by erosion and the growth of the Andes Mountains in the western part of South America. Prior to the massive growth of the Andes water flowed in a westerly direction towards a group of lakes that steered the flow north to be deposited into the Caribbean Ocean. These lakes put a lot of pressure on the Earth’s crust, but tectonic movement eventually evened out the lakes and created a large wetland area that also eventually disappeared because the Andes continued to grow upwards and outwards. The changes that this crust and tectonic movement created helped redirect the water movement in South America in different ways and eventually reversed the flow of many of the rivers in an easterly direction towards the Atlantic as opposed to the Pacific or Caribbean. Erosion also played a major part in the flow change of the Amazon. The growth of the Andes increased the chances of rainfall which produced more erosion coming off of the mountain range, prompting the buildup of sediment faster than the rivers could wash it away. This was a major contributing factor to the course of the Amazon River flowing backwards. A second river that has seen a reversal of flow is the Mississippi River after Hurricane Isaac in 2012. Although this backwards flow wasn’t permanent- the situation only lasted for about 24 hours- the river showed an increase of water to the extent that it was flowing faster backwards than it does forwards on average. 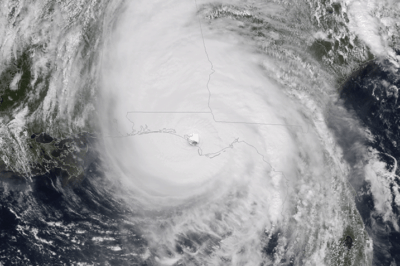 The amount of water that was dumped on the Mississippi River during Hurricane Isaac was enough to increase the flow of water into the mouth of the Mississippi. The water that was pushed into the Gulf of Mexico from the hurricane surged into the Mississippi River delta faster than the water coming out the Mississippi could hold it back. The Mississippi River also reversed during Hurricane Katrina in 2005. Rivers flowing backwards is a common occurrence during hurricanes alongside coastal routes around the world. Some man-made factors that influence the course of a river include drought, city planning, purposeful reversal, and objects like dams and locks. The Chicago River is one instance of many of these man-made factors causing a reversal in the flow of a river. A drought that is currently affecting that area of the world is threatening to reverse the flow of the Chicago River from its current drainage into the Mississippi River to its original drainage into Lake Michigan. A series of locks keep the river from reversing direction itself for the time being. The river first flowed into Lake Michigan instead of the Mississippi River in the late 1800s but was reversed when contaminated drinking water threatened the populations of people who relied on that source for clean drinking water and sanitation purposes. Rivers have changed their flows throughout the course of history because of a few natural and man-made reasons. Although the reversal of river flows can seem dramatic, many rivers over the course of history have flowed backwards for a variety of reasons. Geological Society of America. “Amazon River Reversed Flow.” ScienceDaily. ScienceDaily, 25 October 2006. Victor Sacek, Drainage reversal of the Amazon River due to the coupling of surface and lithospheric processes, Earth and Planetary Science Letters, Volume 401, 1 September 2014, Pages 301-312, ISSN 0012-821X, http://dx.doi.org/10.1016/j.epsl.2014.06.022. Shephard, G. E., R. D. Müller, L. Liu, and M. Gurnis. “Miocene Drainage Reversal of the Amazon River Driven by Plate–mantle Interaction.” Nature Geoscience 3.12 (2010): 870-75. Web.